Our goal is to provide each of our customers with personal service at affordable rates. 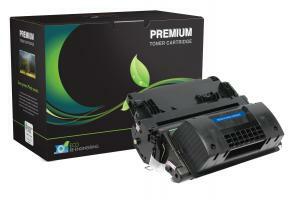 Offering high quality remanufactured toner and inkjet cartridges. Check out our 170+ Five Star ratings, and client testimonials. Our printers are thoroughly cleaned and inspected, and all of the key paper path components are replaced. Your source for an exhaustive line of OEM/New toner cartridges, inkjet cartridges, fax film, and ribbons. Carlisle Enterprises has been family owned and operated since 1991. With 27 years experience in the industry, our customers can be assured they are receiving the highest quality products and the most professional service available in the Chicago Metropolitan Area. Through the years, we have faithfully catered to the needs of hundreds of small to medium-sized businesses and organizations by offering them a competitive, affordable pricing strategy and guaranteed customer satisfaction. Our friendly staff is dedicated to providing honest, professional service to each of our customers. As the future unfolds, our continued commitment to excellence will contribute to the continued loyalty of our customers. Few things are more frustrating than a broken printer when you need to print important documents. Keep your machine running at its best by relying on the professional and experienced technicians at Carlisle Enterprises for comprehensive computer printer repair for HP and Lexmark printers. When your machine needs onsite servicing, you can depend on our company for prompt and accurate printer repair in Schaumburg, IL. Get the assistance you need from our team. We are proud of the work we provide and our fair rates, meaning you won’t have to pay high prices for our services. Where many companies would charge exorbitant fees, we only charge $99 per hour in addition to a $20 to $30 travel time charge, depending on location. While a one-hour minimum is required, most repairs and cleanings can be performed within that timeframe. Carlisle Enterprises has been committed to excellence in quality for over twenty years. This passionate pursuit has led us from remanufacturing our own cartridges to outsourcing all of our cartridges to the very best remanufacturers in the industry. Our partnership with these industry leaders allows us to guarantee that our customers will receive high quality and consistent value. Is your copier or printer beyond repair? If you’ve put up with a problematic machine for far too long, then it may be time to get a better one. However, you don’t have to purchase a brand new machine. 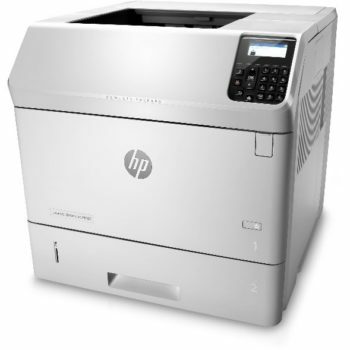 Instead, get a refurbished HP copier or printer from our company. Why pour money down the drain on frequent repairs? Even though our services are very affordable, and we have an excellent maintenance plan, if your machine is aging, then you may end up spending more to repair it than replace it. Today’s printers have become quite complex. Fixing a printer is not as simple as clearing a paper jam or replacing an toner cartridge. The technicians at our company have the knowledge, experience, and tools to address any repair problem. This not only saves your printer, but it saves you from having to buy a new one—which could mean thousands of dollars.